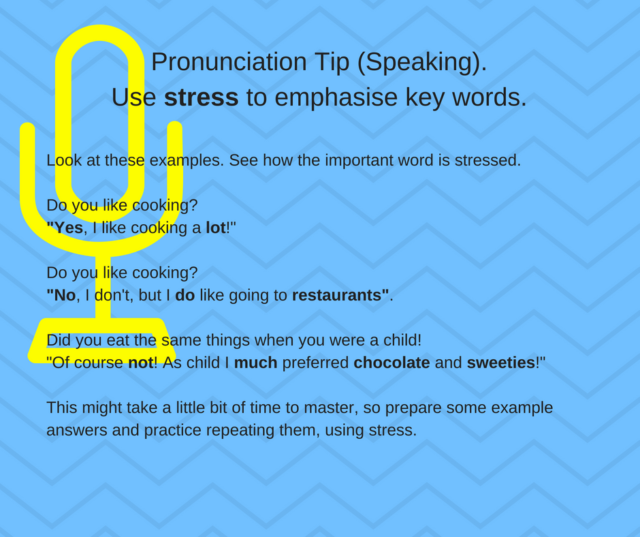 Remember pronunciation! This is an important part of speaking in English. 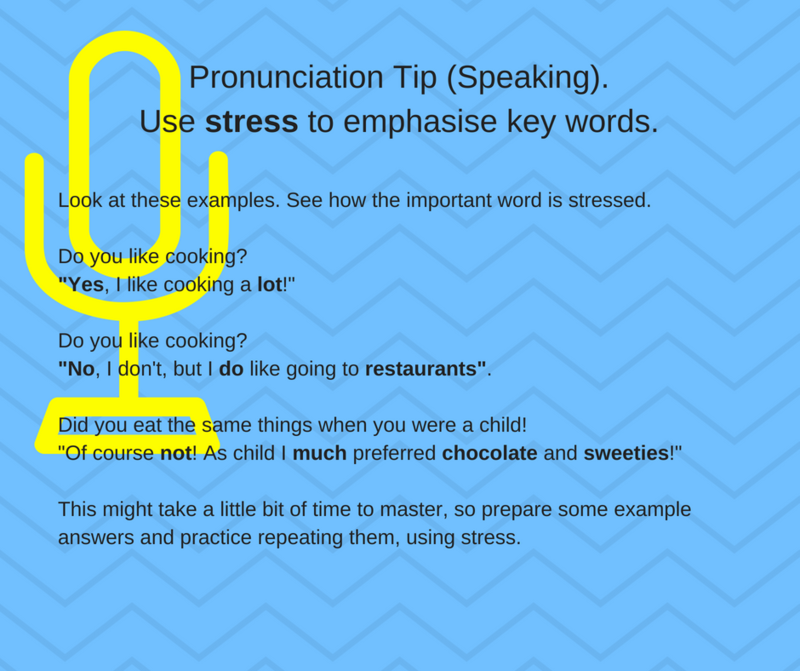 English uses stress in sentences to emphasise important points. If you change the stress, you change the emphasis. Please read this simple article about how stress works in sentences. First - Year Writing for Second Language Writers : Why?